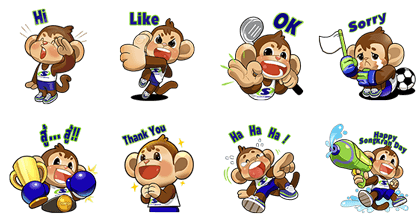 http://www.line-stickers.com/ – Supersports: Nong Champ Line Sticker | Nong Champ is an always-energetic character created by Supersports, the No. 1 sports store in Thailand. Discover a world of surprising and exciting activities with us today! 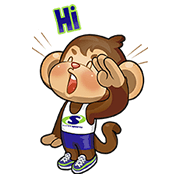 Friend Supersports’s official account to get them. Available till April 12, 2017.